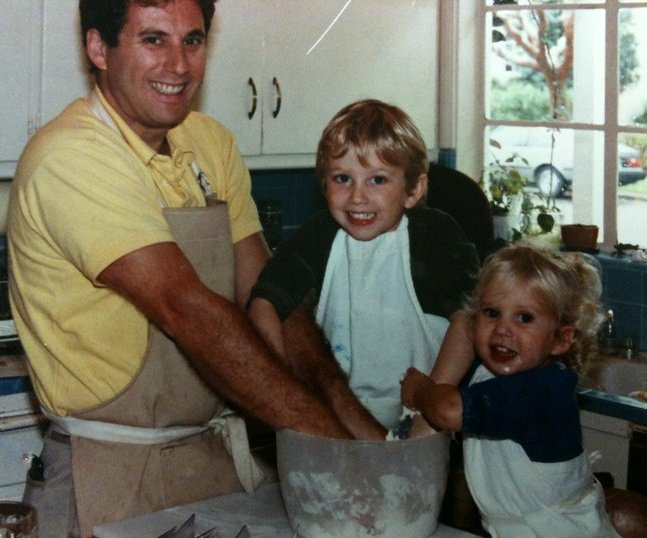 Always trying to stick her little fingers into what her parents were cooking, Rachel has been obsessed with baking since she was a little girl. After an opportunity to stand on a step stool and get her fingers dirty adding pecans to turtle cakes with her Aunt Mouse in Omaha, Nebraska, Rachel knew she'd found a true love for bakery life. In fifth grade, Rachel even took the science fair to a new level, when she did her project on "What makes a cake rise?" A decade later, with a piping-hot baking & pastry certification and a Culinary degree from the California Culinary Academy in San Francisco, Rachel set out to hone her skills in Paris, France. Once back in the Bay Area she furthered her career, working in a few restaurants and then, as if by magic, she found a perfect and extraordinary opportunity at Sibby's Cupcakery in San Mateo, California. After five incredible years as Sibby's "right hand gal" Rachel decided it was her time to bring her own bakery to life. And that she did. With a stack of recipes that she'd been secretly working on for years, Rachel officially opened Rachel's Cakes in 2013 and has been baking to her heart's content ever since. With a true love for baking and a dedication to making the most delicious and creative sweets for her loyal customers, Rachel's Cakes has become the go-to for made-from-scratch, authentic and delicious sweets in Burlingame, California.